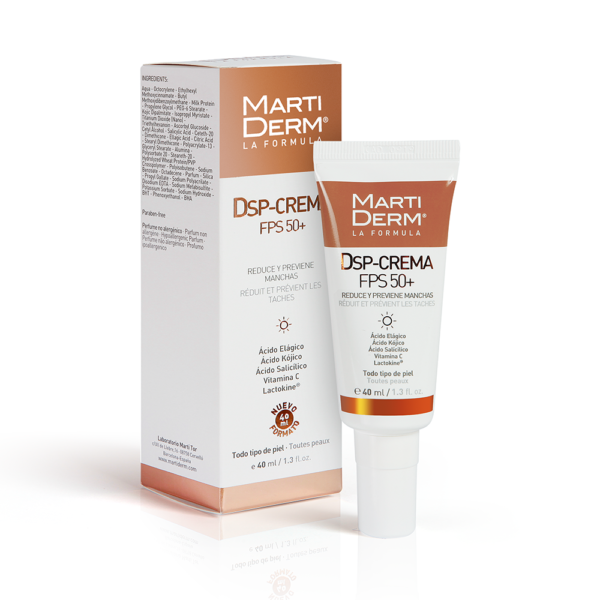 Broad spectrum SPF 50 sun protection cream for rapid and effective depigmenting effect, targeting dark spots and unwanted pigmentation on face and neck. 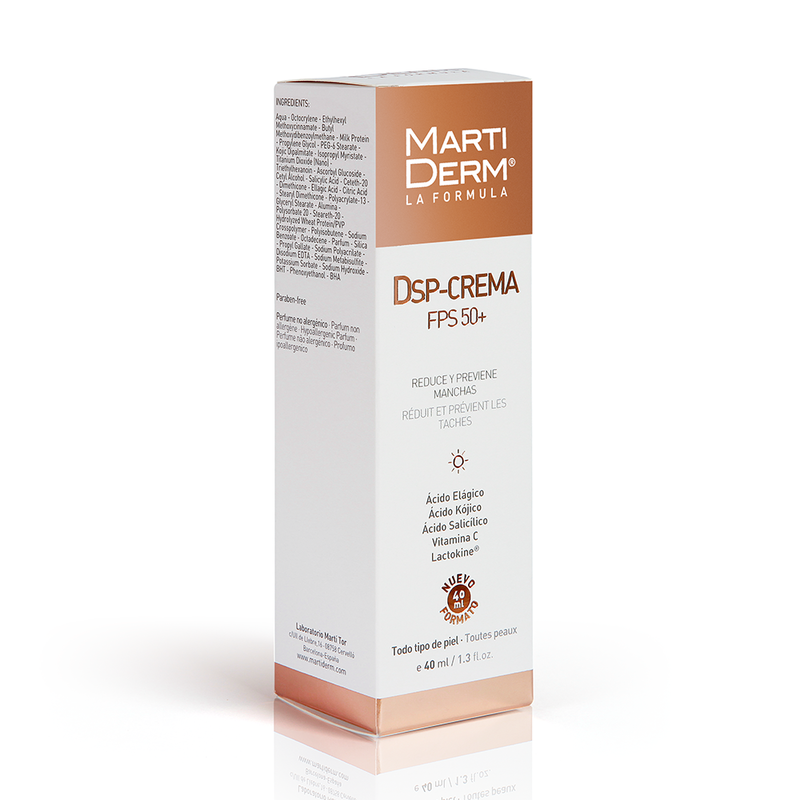 Daily treatment and prevention of hyperpigmentation marks on the face, neck, neckline, arms and hands. Contains 4 powerful active depigmenting ingredients, which work in synergy to reduce the synthesis of melanin. With high broad spectrum UV protection SPF 50+. Reduces dark patches and prevents their appearance whilst providing strong protection (SPF 50+), effectively protecting the skin. Apply to face during the day as the last step in your skincare routine.